Whether you choose a recycled paper cellulose product or a fiberglass product made mostly from recycled glass the result will be increased comfort in your building. 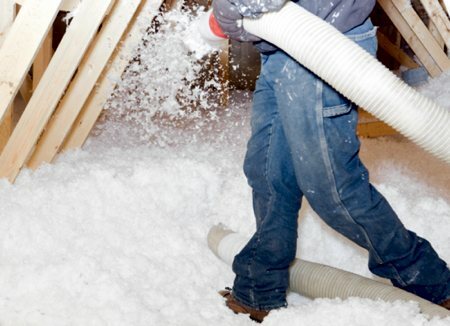 Climate Pro B7500 is a fiber glass blowing insulation used in residential and commercial construction as a thermal and sound absorbing insulation. It is designed for pneumatic installation in open (attic) and closed (sidewalls/floor) construction cavities. It may be used in retrofit applications.